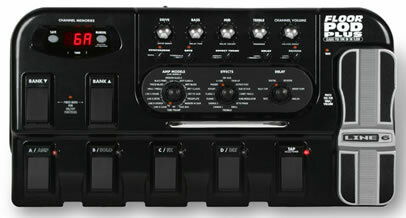 Effects pedal boards are one of the most lusted after items on a musician`s wish list. There are literally hundreds of different designs and variations to choose from. If you are in the market for an effects board, it can be pretty daunting to finally decide on one. Popularly used by musicians to switch and layer effects (FX) when playing live, the board, at its most basic configuration, is used to hold various guitar pedals (along with their power supplies) in fixed positions. This effectively creates a flat surface that gives a guitarist the ability to manage multiple effects pedals while playing. It also makes it easier to transport the effects pedals from place to place. An effects pedal board can mean different things to different people, though. For some it can be as simple as mounting pedals on a board (using strips of velcro tape), but to others it`s a floor-based multi-effects processor - technology developed over the years to introduce a range of guitar pedals that perform multiple tasks in small, easy to handle packages. You can think of multi-effects processors as consoles that give you "everything at your fingertips" (or toes, as the case may be!). These are typically programmable, so you are unlimited in control over the sounds you can produce. It wasn`t that long ago that guitar effects were only available as pedals but in the early 80s the introduction of the multi-effects processor changed the way musicians started to use them. Not only could they be used with guitars but with basses and keyboards, too. They were also incredibly expensive back in the day. While you can still spend a fortune on pedals and/or multi-effects processors, there are a lot of affordable models available. When designing your pedal board layout, consider that each pedal you use imparts its own effect to the music you`re playing. These should be positioned so that effects introduced at different points in the signal chain don`t end up canceling each other out. This takes a bit of experimentation to find the best possible configuration. You must remember that every pedal and every cable between each pedal introduces a new source of latency and possible signal degradation. This means there could be a noticeable lag in the time it takes for the sound to get from your fingers to the amp and ultimately your ears. There could also be noise and hiss added, so it's important to pay attention to your pedal placement and consider adding a noise gate pedal to the mix. Another important aspect is the cables that I mentioned. Make sure you use the best quality cables you can afford to create your signal chain (everything between the guitar output jack and the amplifier input jack). A common pedal board layout includes anything from Dynamic Range (Compression) effects to EQ filters (Wah Pedal and Equalizer), Drive (Overdrive, Distortion, Fuzz), Modulation (Phase, Flange and Chorus) and lastly to time-based effects (Reverb and Delay). Compression pedals should always be first on the board because they pump up the volume when it`s quiet and cut it when it becomes too high. Putting them first in the effects chain gives a consistent signal to the rest of the effects chain. The EQ effect, usually the Wah pedal, creates its distinctive vintage sound by sweeping up and down a narrow frequency range as you move the pedal. By being second in line, it benefits from the consistent signal from the compressor. Drive and Modulation effects typically come next, with the time-based effects (Reverb and Delay) following last because they repeat the original signal without alteration. If your time-based effects were to be any earlier in the route, it could conflict with the other effects. As with anything, "rules" are to sometimes meant to be broken! You could put the Wah pedal after the drive pedals to produce a thicker sound, or put Phase effects in front of the overdrive/distortion pedals, for example. Again, it's up to you to experiment and find the best configuration that sounds good. The best advice is to decide the exact sound you are looking for and find out how that sound was created. Take inspiration from guitarists you admire - listen to their sound and research their pedal board setup. Visit folks like Dawson's Music to see a full range of pedal boards available. They have a nice selection of electric and acoustic guitars as well!